The moon will hide the face of the sun again this month (Wednesday, July 22, 2009) in the longest solar eclipse in this 21st century. "It will be a monster, with a totality lasting more than 6.6 minutes at maximum," say Fred Espenak and Jay Anderson, writers for Sky & Telescope magazine. You may recall that when we interviewed Mark Biltz for our May 2008 issue of Prophecy in the News magazine, we noted that he had discovered three solar eclipses that would occur on each of three annual calendar dates that introduce the Jewish month of Av for the years 2008, 2009, and 2010. The first eclipse occurred on August 1, 2008. The second solar eclipse is coming up this month — on July 22, 2009, and the third will happen on July 11, 2010. Though these dates vary in our Gregorian calendar, they occur on the same calendar date in the Jewish calendar — Av 1. A solar eclipse occurs when the moon travels across the face of the sun, thus blocking out its sunlight. A "total" solar eclipse means that the moon is large enough (closer to Earth) to completely cover the surface of the sun, whereas, an "annular" solar eclipse means that the moon is farther away from Earth and appears smaller than the sun’s disk. A "partial" solar eclipse means that the moon only crosses part the sun’s surface, but does not completely block out its light. These three solar eclipses are "total" eclipses — last year in the far north, this year across the middle of Earth’s surface, and next year in the far south. The solar eclipse last year (August 1, 2008) was seen in parts of the Arctic, Siberia, and central Asia. The second of these three solar eclipses will be coming up this month on July 22, 2009. Sky & Telescope magazine (December 2008) had a story about this solar eclipse, saying that it would be the longest eclipse of the century and would not be seen in this configuration again until 2132. Fred Espenak and Jay Anderson, writers for Sky & Telescope said, "A total eclipse of the sun will cross China next summer. Unlike the eclipse last August, the one on July 22, 2009, will darken major cities, densely populated countryside, and a vast expanse of tropical ocean." "The third total solar eclipse will happen on July 11, 2010, almost entirely over the South Pacific. Easter Island and southern Chile (at sunset) offer the only landfalls. The South Pacific is again the site of the next one, on November 13, 2012." November 13, 2012 ... hmmm ... that’s in the fourth year of this Sabbatical cycle, near December 12, 2012, the final day in the Mayan calendar. Could these be heavenly signs? The total solar eclipse this month will have a magnitude of 1.080 that will be visible from a narrow corridor through northern India, eastern Nepal, northern Bangladesh, Bhutan, the northern tip of Myanmar, central China and the Pacific Ocean, including Ryukyu Islands, Marshall Islands and Kiribati. Totality will be visible in many cities such as Surat, Varanasi, Patna, Thimphu, Chengdu, Chongqing, Wuhan, Hangzhou and Shanghai. A partial eclipse will be seen from the much broader path of the Moon‘s penumbra, including most of South East Asia and north-eastern Oceania. The northern Iwo Jima island is the landmass with totality time closest to maximum. On Friday, August 1, 2008, a total eclipse of the Sun was visible from within a narrow corridor that traversed half the Earth. The path of the Moon’s umbral shadow began in Canada and extended across northern Greenland, the Arctic, central Russia, Mongolia, and China. A partial eclipse was seen within the much broader path of the Moon’s penumbral shadow, which included northeastern North America, most of Europe and Asia. On Sunday, July 11, 2010, a third total eclipse of the Sun will be visible from within a narrow corridor that traverses Earth’s southern hemisphere. The path of the Moon’s umbral shadow will cross the South Pacific Ocean where it will make no landfall except for Mangaia (Cook Islands) and Easter Island (Isla de Pascua). The path of totality will end just after reaching southern Chile and Argentina. The Moon’s penumbral shadow will produce a partial eclipse visible from a much larger region covering the South Pacific and southern South America. "Behold, the day of the LORD cometh, ... the sun shall be darkened in his going forth, and the moon shall not cause her light to shine. "And I will punish the world for their evil, and the wicked for their iniquity; and I will cause the arrogancy of the proud to cease, and will lay low the haughtiness of the terrible" (Isa. 13:9-11). John wrote: "And I beheld when he had opened the sixth seal, and, lo, there was a great earthquake; and the sun became black as sackcloth of hair, and the moon became as blood" (Rev. 6:12). It is possible that solar and lunar eclipses over the next few years hold heavenly messages for mankind. A record number of UFOs are expected to be spotted this year in Britain after hundreds of sightings were reported in the first six months of 2009. Strange floating orbs and unexplained hovering objects have all been recorded and reported to the Ministry of Defense in the last six months. A total of 231 sightings of unidentified flying objects have been passed on to the MoD so far this year, according to The Sun. This compares to 285 in 2008, 135 in 2007 and 97 in 2006. The number of sightings is thought to have increased because many more people now carry digital cameras and are able to photograph strange objects. Nick Pope, who used to run the Government's UFO project and is considered a leading authority on UFOs, told The Sun: "We are now on track for a record year. "I thought the number of UFOs reported last year was high, but we now know they are being reported in increasing numbers." Last year, the MoD released files detailing strange and unexplained sightings reported to them between 1986 and 1992. In one instance, an Alitalia flight coming into land at Heathrow Airport reported a near miss with a UFO, which the pilot described as "similar to a missile - light brown or fawn, about three meters in length but without any exhaust flame''. Two further near misses were reported in the summer of 1991, when one aircraft flying in to Gatwick Airport reported a "wingless projectile'' passing the left side of the plane, and another flight leaving Gatwick spotted a "small lozenge-shaped object'' speeding past the cockpit. The files also went into detail about a US Air Force pilot who claims he was ordered to shoot down a UFO flying over southern England in 1957, and was later ordered never to speak about the incident. Throughout the marshes, the reed gatherers, standing on land they once floated over, cry out to visitors in a passing boat. The poor suffer more acutely, but all strata of society are feeling the effects: sheiks, diplomats and even members of Parliament who retreat to their farms after weeks in Baghdad. Along the river, rice and wheat fields have turned to baked dirt. Canals have dwindled to shallow streams, and fishing boats sit on dry land. Pumps meant to feed water treatment plants dangle pointlessly over brown puddles. It is a crisis that threatens the roots of Iraq’s identity, not only as the land between two rivers but as a nation that was once the largest exporter of dates in the world, that once supplied German beer with barley and that takes patriotic pride in its expensive Anbar rice. Now Iraq is importing more and more grain. Farmers along the Euphrates say, with anger and despair, that they may have to abandon Anbar rice for cheaper varieties. Droughts are not rare in Iraq, though officials say they have been more frequent in recent years. But drought is only part of what is choking the Euphrates and its larger, healthier twin, the Tigris. The most frequently cited culprits are the Turkish and Syrian governments. Iraq has plenty of water, but it is a downstream country. There are at least seven dams on the Euphrates in Turkey and Syria, according to Iraqi water officials, and with no treaties or agreements, the Iraqi government is reduced to begging its neighbors for water. At a conference in Baghdad — where participants drank bottled water from Saudi Arabia, a country with a fraction of Iraq’s fresh water — officials spoke of disaster. Recently, the Water Ministry announced that Turkey had doubled the water flow into the Euphrates, salvaging the planting phase of the rice season in some areas. That move increased water flow to about 60 percent of its average, just enough to cover half of the irrigation requirements for the summer rice season. Though Turkey has agreed to keep this up and even increase it, there is no commitment binding the country to do so. With the Euphrates showing few signs of increasing health, bitterness over Iraq’s water threatens to be a source of tension for months or even years to come between Iraq and its neighbors. Many American, Turkish and even Iraqi officials, disregarding the accusations as election-year posturing, say the real problem lies in Iraq’s own deplorable water management policies. “There used to be water everywhere,” said Abduredha Joda, 40, sitting in his reed hut on a dry, rocky plot of land outside Karbala. Mr. Joda, who describes his dire circumstances with a tired smile, grew up near Basra but fled to Baghdad when Saddam Hussein drained the great marshes of southern Iraq in retaliation for the 1991 Shiite uprising. He came to Karbala in 2004 to fish and raise water buffaloes in the lush wetlands there that remind him of his home. “This year it’s just a desert,” he said. Along the river, there is no shortage of resentment at the Turks and Syrians. But there is also resentment at the Americans, Kurds, Iranians and the Iraqi government, all of whom are blamed. Scarcity makes foes of everyone. The Sunni areas upriver seem to have enough water, Mr. Joda observed, a comment heavy with implication. On a scorching morning in Diwaniya, Bashia Mohammed, 60, was working in a drainage pool by the highway gathering salt, her family’s only source of income now that its rice farm has dried up. But the dead farm was not the real crisis. In the southeast, where the Euphrates nears the end of its 1,730-mile journey and mingles with the less salty waters of the Tigris before emptying into the Persian Gulf, the situation is grave. The marshes there that were intentionally reflooded in 2003, rescuing the ancient culture of the marsh Arabs, are drying up again. Sheep graze on land in the middle of the river. The farmers, reed gatherers and buffalo herders keep working, but they say they cannot continue if the water stays like this. Revelation 16:1-21 KJV And I heard a great voice out of the temple saying to the seven angels, Go your ways, and pour out the vials of the wrath of God upon the earth. 2 And the first went, and poured out his vial upon the earth; and there fell a noisome and grievous sore upon the men which had the mark of the beast, and upon them which worshipped his image. 3 And the second angel poured out his vial upon the sea; and it became as the blood of a dead man: and every living soul died in the sea. 4 And the third angel poured out his vial upon the rivers and fountains of waters; and they became blood. 5 And I heard the angel of the waters say, Thou art righteous, O Lord, which art, and wast, and shalt be, because thou hast judged thus. 6 For they have shed the blood of saints and prophets, and thou hast given them blood to drink; for they are worthy. 7 And I heard another out of the altar say, Even so, Lord God Almighty, true and righteous are thy judgments. 8 And the fourth angel poured out his vial upon the sun; and power was given unto him to scorch men with fire. 9 And men were scorched with great heat, and blasphemed the name of God, which hath power over these plagues: and they repented not to give him glory. 10 And the fifth angel poured out his vial upon the seat of the beast; and his kingdom was full of darkness; and they gnawed their tongues for pain, 11 And blasphemed the God of heaven because of their pains and their sores, and repented not of their deeds. 12 And the sixth angel poured out his vial upon the great river Euphrates; and the water thereof was dried up, that the way of the kings of the east might be prepared. 13 And I saw three unclean spirits like frogs come out of the mouth of the dragon, and out of the mouth of the beast, and out of the mouth of the false prophet. 14 For they are the spirits of devils, working miracles, which go forth unto the kings of the earth and of the whole world, to gather them to the battle of that great day of God Almighty. 15 Behold, I come as a thief. Blessed is he that watcheth, and keepeth his garments, lest he walk naked, and they see his shame. 16 And he gathered them together into a place called in the Hebrew tongue Armageddon. 17 And the seventh angel poured out his vial into the air; and there came a great voice out of the temple of heaven, from the throne, saying, It is done. 18 And there were voices, and thunders, and lightnings; and there was a great earthquake, such as was not since men were upon the earth, so mighty an earthquake, and so great. 19 And the great city was divided into three parts, and the cities of the nations fell: and great Babylon came in remembrance before God, to give unto her the cup of the wine of the fierceness of his wrath. 20 And every island fled away, and the mountains were not found. 21 And there fell upon men a great hail out of heaven, every stone about the weight of a talent: and men blasphemed God because of the plague of the hail; for the plague thereof was exceeding great. The drying up of the Euphrates permits the armies of the East to march against Israel. God has already foretold all of these things, and they will happen just as God said they would. The time will be His Time. CBN.com – It is mind-boggling to think that our generation alone is uniquely standing on the precipice of time and where no generation has ever stood. We are living in the days spoken of by the ancient prophets. This is what the Sovereign LORD says: I will take the Israelites out of the nations where they have gone. I will gather them from all around and bring them back into their own land. This began in 1948. The “dry bones” of Ezekiel 37 have come alive. As also prophesied, we are seeing the world turn against Israel. On that day, when all the nations of the earth are gathered against her, I will make Jerusalem an immovable rock for all the nations” (Zechariah 12:3). The catalyst for this is oil, or petro-dollars, causing the world to sell out tiny, democratic Israel to despotic Muslim nations for purposes of greed. These signs are historically unprecedented. Only this generation has seen them. But there are many other biblical signs, such as: increased violence worldwide (as in the days of Noah), increased apostasy, increased cults and false religions and false prophets, increased natural disasters such as frequency of earthquakes, and more. For these and many other reasons, is it any wonder that millions believe the return of Christ is so near? Polls show that even non-believers think the world is at such a point. This is the most exciting time in all history to be alive! But When is He Coming? But of that day and hour knoweth no man (Matthew 24:36 KJV). Some believers criticize other believers who are seeking God’s clues, either from the Scriptures or by personal revelation. It is interesting that it was apparently by personal revelation, not Scripture, that many people knew the exact day of Elijah's rapture (2 Kings 2)! Are there types in the Old Testament? Do God’s principles repeat themselves? Some claim we should focus only on the Great Commission and evangelism and not be concerned when the Lord will return. However, the Bible repeatedly tells us to “watch” for the signs, so not doing so would be disobedient. Also, those who are watching and expecting Jesus’ soon return are probably the most zealous group of witnesses for the gospel among all Christians. The doubters may mention Paul's words that the day of the Lord will come like "a thief in the night" (1 Thessalonians 5:2). But many believers have so misunderstood these verses that they are oblivious to the times, not watching for the Lord as He commanded, and are often absorbed by the cares of this world and their own agendas. Jesus also said, “but my Father only” knows, which pins the statement to His hearers at the time, when Jesus was still on the earth, because surely there are now no secrets in the Trinity between the Father and the glorified Son, who are truly One. If therefore thou shalt not watch, I will come on thee as a thief, and thou shalt not know what hour I will come upon thee (Revelation 3:3). If we are trusting in Christ and looking for His coming, Paul said that even the very day does not have to surprise us! Also, Jesus exhorted, "If therefore thou shalt not watch, I will come on thee as a thief" (Revelation 3:3, KJV), obviously saying He will come as a thief only to those not watching! It is obvious that for those watching, He will NOT come as a thief. O ye hypocrites, ye can discern the face of the sky, but can ye not discern the signs of the times (Matthew 16:3). He said we would know when it is near! God said, "Surely the sovereign Lord does nothing without revealing it to His servants the prophets" (Amos 3:7, NIV). God said "nothing," and He did not exclude Christ's return. I take Him at His word. God not only knows the end from the beginning, He tells us that He makes it known! I make known the end from the beginning, from ancient times, what is still to come. (Isaiah 46:10). He has already made it known! I personally believe it has been hidden in His Word all along, to be unlocked in His timing. There is nothing wrong with seeking! No doubt, it pleases God. I have even from the beginning declared it to thee; before it came to pass I shewed it thee (Isaiah 48:5, KJV). Jesus said the Holy Spirit "will teach you all things" (John 14:26). He said "all things." Did Jesus make a mistake, forgetting to exclude when He will return? I don't think so. Friends confide in one another. Abraham was called God’s “friend” (Isaiah 41:8; James 2:23). And the LORD said, Shall I hide from Abraham that thing which I do (Genesis 18:17). I no longer call you servants, because a servant does not know his master’s business. Instead, I have called you friends (Jesus, John 15:15). The Bible also says that Jesus was crucified so that the blessing of Abraham, part of which was friendship with God, would come upon the Gentiles -- us (Galatians 3:14). What has been will be again, what has been done will be done again; there is nothing new under the sun (NIV). Many Bible students believe that ancient events and dating in the Bible are shadows and clues that foretell the coming of the Lord, even the timing. An example is the six days of creation, seen as 6,000 years of man’s dominion over the earth, before the return of the Lord and the seventh, or Sabbath Millennium of peace, with Christ ruling in Jerusalem. According to scholars, we are now at the end of 6,000 years since Adam. There are other such passages. God clearly promised that we would know at least approximately when Christ will return, and even "the day" will not surprise us, as the Holy Spirit reveals through Paul! In addition, there is ample precedent for God revealing specific times in advance. * He gave Noah advance notice of when the flood would be (Genesis 6,7). * He told Abraham how long the Israelites would be in Egypt (Genesis 15:13). * As mentioned, He revealed to many the very day of Elijah's rapture (2 Kings 2). * He told Jeremiah how long the Babylonian exile would be (Jeremiah 29:10). * He told Daniel exactly when Messiah would come the first time (Daniel 9:25-26). Some, including the brilliant Sir Isaac Newton, believe this same passage holds the key to the timing of His return. There is evidence that the Bible reveals the exact number of years of "the times of the Gentiles" and the exact span of time to Israel's rebirth in 1948 and the recapture of Jerusalem in 1967. Obviously, leaving us clueless now would violate God's own established pattern as revealed in His Word! Also obviously, we are not left clueless. There are many signs. Let us remain watchful and ready, and be found doing the Master’s work. Thanks for sharing this with us. YES, I firmly believe this is the terminal generation before the Second Coming of Christ. That also means that the Rapture of the Church and the Tribulation Period are growing near. As Christians, we have sorrow for the lost because we know what is about to happen to the world. If we can't see the signs around us that that world is spiraling down into chaos and evil, we would have to be blind. The same is obviously true in our own part of the world. Many things are insane and almost beyond explanation. We have recently watched mass deception, and it should be obvious that things are rapidly deteriorating. World systems are corrupt and falling apart. The stage is set for the Tribulation Period. 2 Corinthians 4:1-18 1 Therefore seeing we have this ministry, as we have received mercy, we faint not; 2 But have renounced the hidden things of dishonesty, not walking in craftiness, nor handling the word of God deceitfully; but by manifestation of the truth commending ourselves to every man's conscience in the sight of God. 3 But if our gospel be hid, it is hid to them that are lost: 4 In whom the god of this world hath blinded the minds of them which believe not, lest the light of the glorious gospel of Christ, who is the image of God, should shine unto them. 5 For we preach not ourselves, but Christ Jesus the Lord; and ourselves your servants for Jesus' sake. 6 For God, who commanded the light to shine out of darkness, hath shined in our hearts, to give the light of the knowledge of the glory of God in the face of Jesus Christ. 7 But we have this treasure in earthen vessels, that the excellency of the power may be of God, and not of us. 8 We are troubled on every side, yet not distressed; we are perplexed, but not in despair; 9 Persecuted, but not forsaken; cast down, but not destroyed; 10 Always bearing about in the body the dying of the Lord Jesus, that the life also of Jesus might be made manifest in our body. 11 For we which live are alway delivered unto death for Jesus' sake, that the life also of Jesus might be made manifest in our mortal flesh. 12 So then death worketh in us, but life in you. 13 We having the same spirit of faith, according as it is written, I believed, and therefore have I spoken; we also believe, and therefore speak; 14 Knowing that he which raised up the Lord Jesus shall raise up us also by Jesus, and shall present us with you. 15 For all things are for your sakes, that the abundant grace might through the thanksgiving of many redound to the glory of God. 16 For which cause we faint not; but though our outward man perish, yet the inward man is renewed day by day. 17 For our light affliction, which is but for a moment, worketh for us a far more exceeding and eternal weight of glory; 18 While we look not at the things which are seen, but at the things which are not seen: for the things which are seen are temporal; but the things which are not seen are eternal. RIYADH, Saudi Arabia – Saudi Arabia on Wednesday condemned Israel's "arrogant" policies of building settlements in east Jerusalem, saying they violated the rights of Arabs and Muslims and cast doubt on its seriousness in peace negotiations. In a strongly worded statement carried by the official news agency, a government official asked the Quartet sponsoring peace talks, consisting the U.S., EU, Russia and the U.N., to take Israel to task for its recent announcements to expand Jewish housing in east Jerusalem. "Saudi Arabia is looking for explanations from the international Quartet for these arrogant Israeli policies and the insistence on challenging the international community," the official said. "These comments cast doubt on the peace process and the seriousness of the international efforts to relaunch negotiations." Palestinians want east Jerusalem, annexed by Israel in 1967, as their future capital and see new settlement construction as land grabs. Israel insists the city cannot be divided and says it has the right to build anywhere. The statement criticized Israel's Prime Minister Benjamin Netanyahu for saying during his trip to Washington that settlement construction in Jerusalem would not be halted. He said Israel does not consider Jewish neighborhoods in east Jerusalem to be settlements. About 180,000 Israelis live there. "The kingdom strongly condemns the statements by the prime minister of the Israeli occupation in which he denied the rights of Palestinians, Arabs, and Muslims in holy Jerusalem, without the slightest consideration for the legitimate rights of the Palestinians, especially in occupied holy Jerusalem, or for the international efforts to relaunch peace process," the statement said. Netanyahu's comments came during a spat between the U.S. and Israel over its settlement construction as Washington is pressing to restart peace talks. Israeli officials announced the construction of 1,600 new apartments in east Jerusalem during the visit of U.S. Vice President Joe Biden to Israel. The Saudi statement said the timing was "surprising and astonishing." On Wednesday, Israel's Jerusalem municipality approved 20 new apartments for Jews on land bought by an American Jewish millionaire in an Arab neighborhood of east Jerusalem while Netanyahu is in Washington on a fence-mending visit. Arab countries, including Saudi Arabia, had initially backed efforts to start indirect U.S.-mediated talks, but there has been widespread outrage over the announcements of new construction. CAIRO – The Arab League chief wants the 22-nation bloc to engage Iran directly over concerns about its growing influence and its nuclear activities, in a step that could undermine U.S. and Israeli efforts to isolate the country, diplomats said Tuesday. Senior U.S. officials including Defense Secretary Robert Gates toured the region last month to urge Arab allies to back Western efforts to increase the heat on Iran over its nuclear program, including through tougher economic sanctions. Arab diplomats said Secretary-General Amr Moussa will present his proposal in a policy document to a two-day Arab League leaders summit in Sirte, Libya, that starts Saturday. The leaders are expected to discuss a range of regional issues, including stalled Middle East peace efforts and Iran. The engagement would take the form of a forum for regional cooperation and conflict resolution that would include non-Arab nations Iran and Turkey, two Arab League diplomats said. They agreed to discuss details of the proposal on condition of anonymity because of their sensitivity. One of the diplomats, who has seen Moussa's document, said the League's chief hopes the inclusion of Turkey — an increasingly influential Sunni Muslim nation — will provide a powerful counterbalance to Shiite Iran. Moussa also wants the leaders to authorize him to initiate direct talks with Tehran on Arabs' concerns over what they view as Iranian meddling in regional affairs, including through its support of militant groups beyond its borders. A senior aide to Moussa, Hisham Youssef, confirmed the secretary-general would present the ideas to the summit. It is not clear if Moussa has yet consulted with key Arab nations such as Egypt and Saudi Arabia, which have resisted closer ties with Iran in the past. They and other U.S.-allied Arab nations — most of which are led by Sunni Muslims — have been deeply concerned over the rising power of mainly Shiite and Persian Iran in the Middle East. They oppose its support of Iraqi Shiites and militant groups like the Palestinian Hamas and the Lebanese Hezbollah and share Washington's concern that Iran's nuclear program is aimed at producing weapons. But the West's strategy in the standoff with Iran also troubles Arab leaders, who fear that its failure would lead to a military confrontation that could spill across their own borders. The U.S. has tried to soothe those worries and has been bolstering defense systems in several Arab nations in the Gulf to combat the possible threat of missiles fired from Iran. A year of efforts by President Barack Obama to engage Iran have hit repeated roadblocks, leaving Washington with few options other than to seek international support for more sanctions. The United States and its Western allies are after a fourth round of U.N. sanctions to push Iran to stop enriching uranium, a technology that gives Iran a possible pathway to weapons making. Iran says its nuclear program is only for peaceful purposes such as power generation. Another factor behind the Arab push for their own Iran strategy is linked to their frustration over the failure of Washington to stand up to Israel over its insistence on building on land the Palestinians want for a future state. Arab nations look increasingly less likely to align with the U.S. strategy on Iran if they feel they are getting nothing in return on Mideast peace efforts. Skepticism is eroding Arab hopes that Obama will be able to help forge a deal between Israel and the Palestinians to end a conflict that has fueled anti-U.S. sentiment in the region. In another sign of Arab disenchantment, Egyptian Foreign Minister Ahmed Aboul Gheit said Tuesday that his country will press the summit to focus on what is widely believed to be a secret nuclear weapons program in Israel and pressure it to join the Nuclear Non-Proliferation Treaty. "The priority of Arab countries should be to force Israel to join the NPT and place its nuclear facilities under the IAEA guarantees," Aboul Gheit said, referring to the U.N.'s International Atomic Energy Agency. ANKARA (Reuters) – NATO-member Turkey on Wednesday rebuffed calls from ally the United States to support more sanctions against Iran over Tehran's nuclear program, saying diplomacy should be given more chance. Turkey, a non-permanent member of the United Nations Security Council, has been leery of a U.S.-led push to back new sanctions on fellow Muslim nation Iran, which the West suspects is trying to develop atomic bombs. "There is still an opportunity ahead of us and we believe that this opportunity should be used effectively. Not less, but more diplomacy (is needed)," Turkey's Foreign Ministry spokesman Burak Ozugergin told a news conference. Last week, Assistant Secretary of State Philip Gordon, the U.S. State Department's top diplomat for Europe, urged Turkey to support more sanctions against Iran, saying Ankara could face consequences if it moves out of step with the international community. Turkey has boosted ties with Iran and other Muslim neighbors since the Islamist-leaning AK Party first took office in 2002, and some commentators have expressed concern Ankara might be tilting away from its long-time Western allies. "We think that Iran has good intentions on this issue and wants a solution. Otherwise, we would not be making such efforts. We inform our Western friends regularly about the impressions we get (from talks with Iran)," Ozugergin said. He reiterated Ankara's opposition to any Middle Eastern country acquiring nuclear weapons and said Iran had the right to use nuclear energy for peaceful purposes like all other countries. Israel is bracing itself for the possibility that Australia will follow in Britain's footsteps and will expel an Israeli diplomat in response to the use of forged Australian passports in the assassination of Hamas man Mahmoud al-Mabhouh, largely believe to have been carried out by Israel's spy agency, the Mossad. Official Israeli sources told The Australian on Wednesday that among the countries whose passports were forged, Australia is the most likely to follow suit with Britain. However, the Foreign Ministry in Jerusalem vehemently denied the claims. "This has no basis in reality," the ministry said. The newspaper reported that Israel did not believe Australia would take such a drastic measure following reports of Britain's move, but that estimates have since changed. "It appears that Israeli officials have received indications in Canberra that Australia is preparing to expel a diplomat," the newspaper reported. Israel's Foreign Ministry denied these claims and said in a statement that "the report from Australia has no basis in reality." The Foreign Ministry statement is based on talks Israeli Ambassador to Canberra Yuval Rotem held with the Australian government and on statements made by Australian Foreign Minister Stephen Smith during a radio interview in Australia Tuesday. In a statement before British parliament Tuesday, British Foreign Minister David Miliband formally accused Israel of being responsible for forging the British passports used in the Dubai hit. He said that the act was a grave violation of Britain's sovereignty and a big insult, especially coming from a friendly nation. Miliband confirmed that an Israeli diplomat had been asked to leave the country. Estimates are that the diplomat was the Mossad's representative in London. Earlier Wednesday, Australian Foreign Minister Stephen Smith said that Miliband offered to hand over to Australia details from Britain's investigation of the passport cloning affair. Smith refused to comment whether his country will take similar measures as Britain, and noted that he does not know when Australia's own investigation will conclude. Smith declined to say whether his government was likely to take similar action when the Australian investigation concludes. He said he did not know when that investigation would end. "To make any commentary or remarks about what the United Kingdom government has done would necessarily cut across our own investigation and what decisions we might make," Smith told Australian Broadcasting Corp. radio. "Suffice to say we are treating this matter very seriously. Israel understands that and when I receive the (Australian) report, we'll make judgments which will be in Australia's national interest," he said. Authorities in Canberra sent investigators to Israel a few weeks ago. The investigation was meant to take place under low profile, but received embarrassing coverage when members of the investigation were involved in a hit-and-run accident with a bicyclist in Tel Aviv. Syrian President Bashar Assad told Hezbollah's al-Manar television station on Wednesday evening, "We are in a situation of neither war nor peace, and this is a temporary situation which will either end in peace or in war. There is no other choice apart from these two." According to Assad, "We believe we are facing an enemy which only understands the language of force. We believe peace is not at arm's length for the region, but in any event there are many ways to reach the goals and they must not necessarily go through war." He noted that "the Syrian army is developing itself", and warned that Damascus "will enter any war imposed on us." According to the Syrian president, his country cannot remain neutral when it comes to the "resistance". He also stressed that Syria was interested in having good relations with Lebanon. Assad was asked during the interview why his country was avoiding launching a "war of liberation" against Israel. "First of all," he replied, "we are talking about peace. War is the worst thing and no one is looking for war in any place in the world. We must continue seeking peace as long as there is hope. Do we have hope with the Israeli government? Not at all. But we believe that Israel today, according to what we are hearing from Israel's supporters, has no other alternatives apart from peace." According to the Syrian president, "The Israeli power of deterrence has worn out over time, although Israel is boosting its power. However, at the same time, the 'resistance' perception is growing stronger as well in the Arab street. In practice, Israel has become weaker and its military force guarantees nothing. "Many of its supporters, especially from the Zionist organizations and several radical Jewish organizations, have begun saying that they believed in war in the past, but now they believe that there is no solution for Israel other than peace. There is no escape but to look for the peace process first. "As for me, in terms of a war of liberation or resistance, the resistance doesn't grow from a decision made by a country, but in a popular way. Syria is a country with a developing army." Asked about the chances for a war against Israel, Assad said: "When a war is imposed on you, you must enter it regardless of the balance of power. But this is not a simple matter and it is not hidden in a declaration of war. This issue is not a matter of enthusiasm." The Syrian president slammed former US President George W. Bush, who he said had failed in the move he led against Damascus. Addressing current US President Barack Obama, Assad said there was a clear difference between the two administrations. "We don't hear the language of dictations. There are differences in the worldviews and its natural, but the dictation language no longer exists," he said. UM? - Isn't a big picture emerging? The world is abandoning Israel, and the stage is being set for the Tribulation Period. 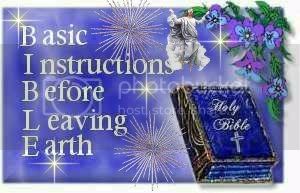 The stage is also being set for horrible and huge events that may happen before the Tribulation Period. The time is growing near. Brother, as you know it will get worse. I'm going to post some things that will show it getting worse. Unfortunately, I'm ashamed of President Obama-nation. Unfortunately, all it ever takes is to say God Bless Israel and the trolls come running to try and destroy Israel, on the forum. I am also, staggered by the speed with which Obama has sought to undermine the Jewish people. Jews may then have tried to avoid Obama’s anti-Semitism, but they cannot now avoid the consequences of avoiding Obama’s anti-Semitism. He has unleashed an evil in this world the extent of which we are only now beginning to see. He has made the world safe for haters and killers. We have to be able and willing to make moral distinctions and stand up for the good and fight evil, and that is something that both the Europeans and Obama refuse to do. This was due to nationalism during World War 2. Nationalism isn’t evil. British nationalism hasn’t been evil. French nationalism isn’t evil. German nationalism isn't evil, Polish nationalism isn’t evil. Russian nationalism isn't evil, American nationalism wasn’t evil and has never been evil. Contrary to Obama’s actions, American exceptionalism isn’t evil. The only difference between American Jews of the 2000s and the European Jews of the 1930s is Israel. This is what separates you from the dehumanization, the oven, the end. A Jewish homeland is the thin blue and white line between civilized men and bloodthirsty savages. How the United States will hold onto a friendship to Israel. I don't know but, I will say all Christians need to be praying for Israel today, right NOW! !